Repair / LCD Replacement Service for Audi TT instrument cluster with pixelated / faded center LCD display. Please consider our Full Service Cluster Rebuild/REMAN option if you are also experiencing other cluster related issues/failures common with TT models, such as: erratic or non functioning temperature/fuel/speedometer and tachometer, power loss, flashing or disappearing clock and odometer display or if your TT is approaching higher mileage (nearing or above 100k miles). Please note that the repair will not effect your immobilizer (if equipped) or odometer status. 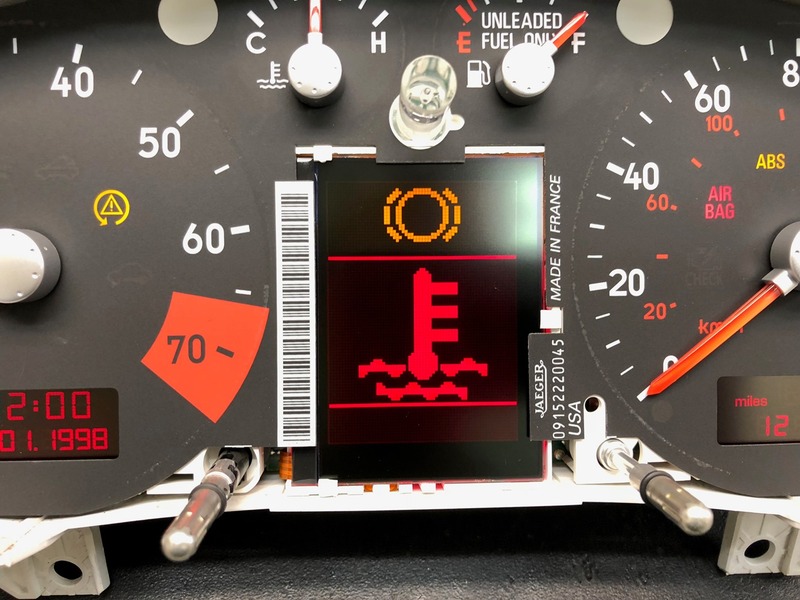 You will receive the same instrument cluster that was shipped in for repair. Cluster will be plug and play and no coding/re coding is required by the owner. The immobilizer will be configured so that the car starts without any delay or lockout time. 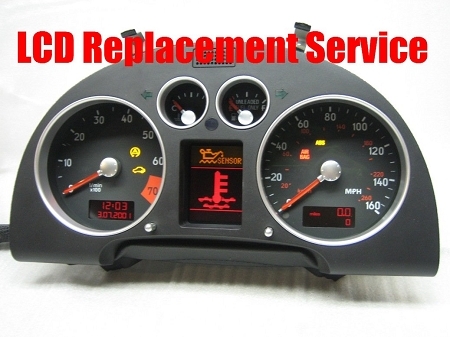 Repair service involves removal and shipping of your current instrument cluster for repair. Repair is processed within 1-5 business days, plus shipping/transit time. I AM VERY SATISFIED AT SUCH A WONDERFUL JOB THEY DID REBUILDING MY AUDI CLUSTER... GREAT JOB...GREAT PRICE...GREAT COMPANY TO DEAL WITH...THANKS !!!!!!!!!!!!! I had been debating where to send my Audi TT cluster to get rebuilt. After calling another rebuild shop and then calling Speedo Solutions the choice was obvious. The owner answered my phone call even though he was on vacation. He answered all of my questions thoroughly and wasnt in a rush to get off the phone. It was very apparent he had much experience rebuilding these guages. I couldnt have asked for a better guality rebuild and shipping and processing time was very quick. A+ company! These folks did a great job for me. IC came back looking brand new. Went back in cleanly and it is operating perfectly. Looks great. Thanks for turning this around as quick as you did.